Webskills are part of the Winning team! Designed & brainstormed within Topdeck Travel: the popular Marketing Campaign "Don't Waste Winter" has been awarded ‘Most Innovative Marketing’ at the 2009 BETA Youth Travel Awards. 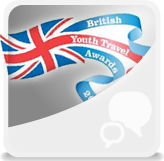 After hearing that The British Educational Travel Association had short listed the "Don't waste winter" Marketing Campaign for the British Youth Travel Awards 2009, we couldn't wait to hear the result. We always knew they could do it, and now it's official. It won in the ‘Most Innovative Marketing’ category! Congratulations to Topdeck and to 4Action/Webskills for creating an effective online marketing structure in record time. The Social Media, PPC Advertising & Web Development of the Don't Waste Winter Campaign are some of the key elements covered by our team. It was a pleasure to be involved in the project!